An uneven but engaging entry into the Grishaverse. Brigham Young had too many wives and this book had too many pages. An introspective, elegiac story of a particular place at a particular moment in time, and those effects of locale and history on body and persona. Evocative and highly topical. French's best yet. I had really hoped there would be a final twist. It's really 4.5 stars. Almost 5, but sometimes the writing is a little awkward. Ree is the best protagonist that's come my way in a long time. This book is sad but it is hopeful. An intensely felt story of friendships, families, and first loves, perfect for music lovers and fans of Sarah Nicole Smetana and Nina LaCour. A fascinating glimpse into America between the wars through the lens of a great racehorse and his trainer. Upper Hudson Library System members, reserve a coy of this book here. 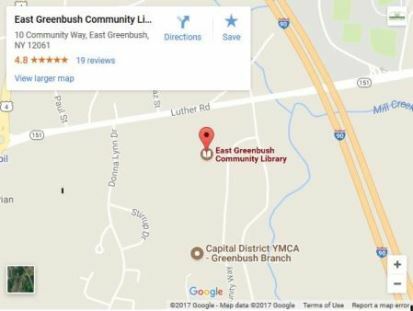 Share book reviews and ratings with East Greenbush, and even join a book club on Goodreads.